Gateway Community College celebrated April 10 the naming of the NewAlliance Foundation Art Gallery with a new exhibit, “Memory and Legacy,” and program of speakers. The grand opening is the first of many naming ceremonies slated for Gateway’s campus. The night’s speakers were: Thomas Griggs Jr. (Chair, Gateway Community College Foundation Board); Dorsey L. Kendrick, Ph.D. (President, Gateway); Robert J. Lyons Jr. (Chair, NewAlliance Foundation Board); Kim Healey (Executive Director, NewAlliance Foundation); Fay Sheppard (Co-Director, Greater New Haven Holocaust Memorial); and Nicholas Halko (Program Coordinator, Gateway Art/Graphic Design Department). The exhibit “Memory and Legacy” will be on display until April 25. It is a poignant Holocaust remembrance exhibit that tells the story of the New Haven community (Holocaust survivors, educators, artists, political leaders, architects and landscapers) behind the creation of the New Haven Holocaust Memorial. The exhibit, designed by architect Eric Epstein, features oral histories, drawings and archival photographs. The monument itself was erected more than 30 years ago. Through the NewAlliance Foundation Art Gallery, GCC will continue to showcase New Haven and its history. Recently, Winchester Factory was highlighted and, coming soon, the artwork of prize-winning high school students. “READy for the Grade” especially addresses findings that many students from low-income families lose ground in their reading skills during summer vacation. Awards of $35,000 per year over three years will support library projects working in partnership with a local school to maintain skills gained during the school year for students in kindergarten through grade three. The Rockville Public Library will create an intensive summer-long program working with children identified by their partner, Maple Street School. Activities will include visits from professionals acting as Reading Role Models, such as firefighters and veterinarians, who will emphasize the importance of reading in their lives. Members of the Friends of Rockville Public Library will volunteer in the program to give one on one time with the young readers. Specially trained reading dogs will help young readers gain confidence in reading aloud. The library will also collaborate with the Vernon Community Network for activities and volunteers for the program. Parents will be encouraged to participate in the program. Workshops and family dinners will give them suggestions on ways to strengthen their child’s reading skills. The Vernon Board of Education has been a partner with the library from the beginning. The grant was written by Sharon Redfern from the library in collaboration with Jerry Griffin from the Board of Education. Mayor George Apel has given his support to the program by allowing town employees to be Reading Role Models. A new grant will pave the way for an expanded Killingly summer reading program aimed at maintaining elementary students’ skills throughout the school break. The Town Council on Tuesday accepted a three-year grant from the New Alliance Foundation’s Public Library Summer Reading Initiative. The money, $35,000 each year for the life of the grant, will enable library and school staff to provide lower-income families with elementary students in grades kindergarten through third grade increased reading opportunities, Library Director Peter Ciparelli said. Ciparelli said the money will be funneled into several areas, including programming, staff and supplies. He said staff members will make field visits to targeted areas, such as the town’s Village at Killingly housing complex, while also buttressing the library’s existing summer reading program. “It’s an ambitious program,” he said. Allison Whiston, the library’s children and young adult director, said preliminary plans call for sending reading specialists to Killingly Memorial and Killingly Central schools each week during the summer as part of those schools before-and-after programs. She said the “helpers” will be able to identify those children having reading difficulties. Money will also be used to bus Killingly Central School students to the library during the school year, a trip Killingly Memorial students can make by just crossing the street. She said the grant funding will help pay for new computers that can track a child’s reading, while also giving them the ability to post online reviews and recommendations for books they like. Danielson parent Sondra West, the mother of three Killingly students, said she’s been taking her children to the summer reading program for years. Carol Records, the librarian for Killingly Central and Memorial schools, said her staff, along with the schools’ reading teachers, will work closely with Whiston in the coming months to fine-tune the summer program. She said the program is crucial to keeping comprehension, decoding and fluency skills honed. “Calabaza” became “zucchini” for Alejandro Algredo thanks to a nighttime class he took on Grand Avenue. As Connecticut cuts back on such classes statewide, other adult immigrants like Algredo will be able to keep learning English on Grand thanks to a timely “Hi-5”. The “Hi-5” came from the NewAlliance Foundation, which Wednesday presented $25,000 to the Grand Avenue Agency where Algredo takes English as a Second Language classes, Junta For Progressive Action. Kim Healey, the foundation’s executive director, presented the $25,000 award to students and tutors at the headquarters of the Latino advocacy group. Sandra Treviño, JUNTA’s own executive director, explained the award comes at the right time—as the state government cuts funding for adult education, it threatens JUNTA’s programs and those of similar organizations. Healey explained that the Hi-5 Grant does not take applications, but is rather awarded to a not-for-profit organization that has proved it can make a difference. “Bingo!” replied one of the students. One of the bingo players was 34 year-old Algredo, who hails from the state of Tlaxcala in central Mexico. (Read about New Haven’s relationship with Tlaxcala here and here.) Algredo said the English classes at JUNTA have greatly improved his quality of life. Treviño (pictured with Healey) echoed Algredo’s statements, saying that language barriers make it difficult for immigrants to defend themselves against violations of their rights. She added that the success of all of JUNTA’s other programs—from legal services to family management—depend on the literacy and English language skills of its participants. She cited JUNTA’s recent report on remittance practices as an example of a situation where the lack of English proficiency opens the door for abuses. In that same vein, JUNTA tutor Karla Yañez-Cervantes (at left in photo) said that learning English has implications beyond academic skills. JUNTA does not charge any fees for its services. So it depends on volunteer work and external sources of money to stay open. For the most part, this money comes from the city and state governments. Recently, however, the state has sharply cut money available for adult education. Treviño said the New Alliance award will allow JUNTA to stay open through the summer and keep providing instruction. She also said JUNTA will lobby for bigger adult education budgets. Maryann Ott, New Alliance’s Associate Director, agreed. The New Haven-based NewAlliance Foundation announced today that it has made the official changeover to a stand alone independent foundation. The completed acquisition of NewAlliance Bank by First Niagara this past April newly positions the longstanding Foundation as a separate foundation that will continue to serve the community. 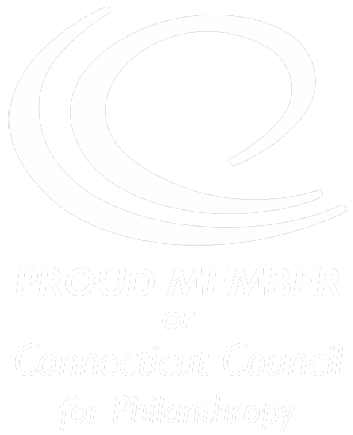 “The NewAlliance Foundation has deep roots in Connecticut, stemming from its initial inception under the banner of New Haven Savings Bank. Our changeover to a freestanding organization underscores the Foundation’s pledge to serve and help fund local-area not-for-profit organizations,” said Kim A. Healey, Executive Director of the Foundation. “Our commitment to effectively assist and meet the needs of local organizations through grants remains strong. We look forward to carrying on this legacy and to continuing to work with local partners to improve the quality of life for community residents,” added Healey. Since April 1, 2004, when NewAlliance Foundation was first established, through December 2010, the organization distributed over $15 million in support of Connecticut and Western Massachusetts non-profit communities. Programs in the areas of health and human services, the arts, education and community development have received funding from the Foundation.